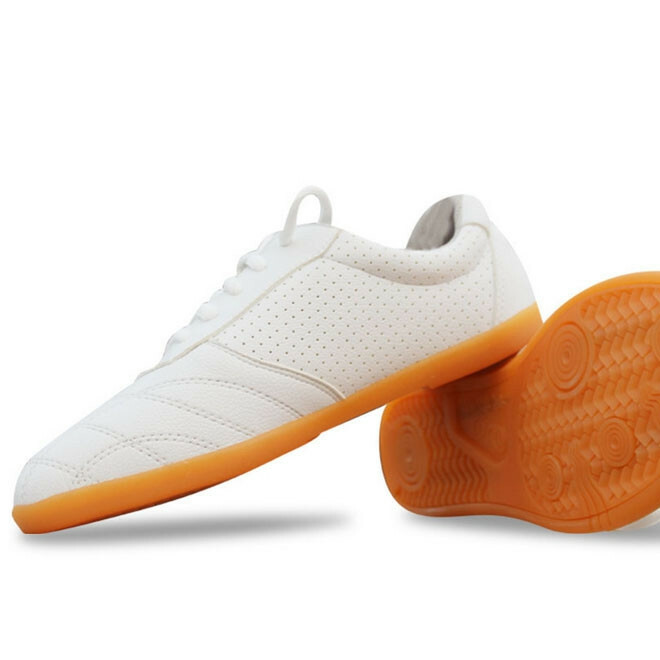 Light and soft.Tai Chi shoes for summer, the holes provide provides you with the air-permeability, excellent ductility and flexibility. Color : white, black, red, navy blue. Material : ¨PU leather shoes, natural rubber. The holes provide provides you with the air-permeability. In front of shoes neither wide nor narrow, a beautiful shape for your feet. High quality natural rubber very adherent to the ground. Yin Yang golden motif on the outside. Excellent finishes and neat design. This conversion table is a reference to help you choose the shoes size. 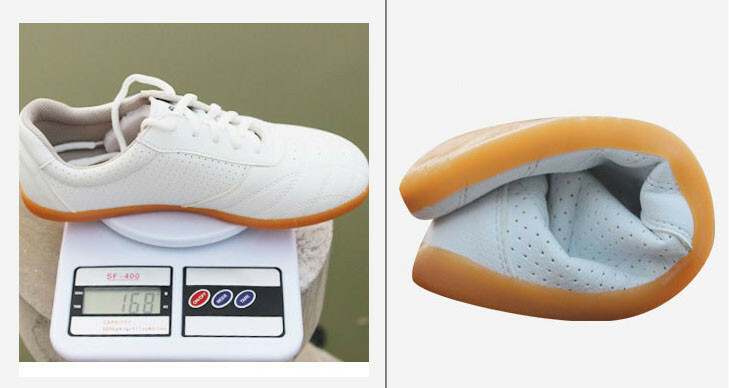 The measures can be slightly different between the different models of shoes. For any query please contact us to get more information. All our shoes sizes are based on CN sizes. Very beautiful remarkable shoes that satisfies all your needs. Breathable model ideal for sweaty feet. Depending on the habit in China, Tai Chi practitioners are often outside in the park, apart from the inner floor this model of shoes are also well suited to the outdoor floor. How to choose your Tai Chi shoes ?